Belly up to the service bar. Photo by Cathy Stancil Photography. In my work on the San Francisco Bay Trail at the Association of Bay Area Governments, my colleagues are urban planners working on regional housing and transportation needs, population and job projections, among many other things. Intertwined amongst these planning disciplines is the notion of Placemaking. What makes a neighborhood or community thrive? Why do cities fail? What is the “secret sauce” that makes a place more than just a collection of structures, gas stations, and mini-marts? Placemaking is a multi-faceted approach to the planning, design and management of public spaces. Placemaking capitalizes on a local community’s assets, inspiration, and potential, with the intention of creating public spaces that promote people’s health, happiness, and well-being. It is political due to the nature of place identity. Placemaking is both a process and a philosophy. Climbers, runners, skiers, NASCAR fans, and heck, probably curlers (you know, the “sport” where two goobers push a broom thingy down what looks like a bowling ball lane sprinkled with Margarita salt to see whose grounded flying saucer can go the furthest while wearing funny black shoes?) commonly reference the sense of community they feel with their fellow enthusiasts. 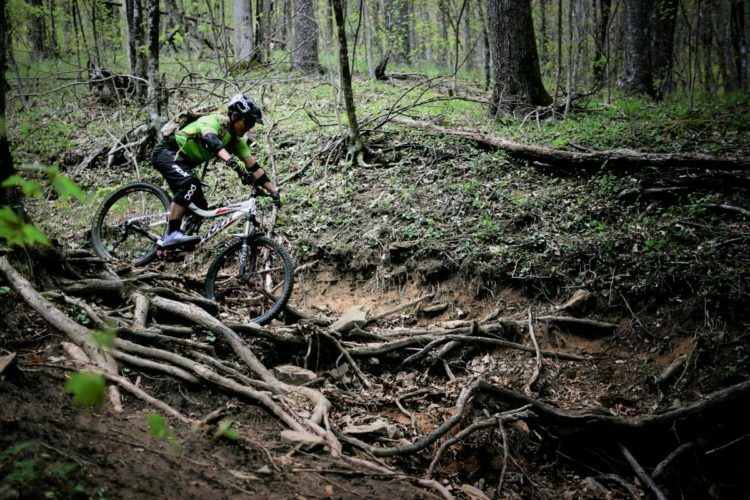 And of course mountain biking is no different. 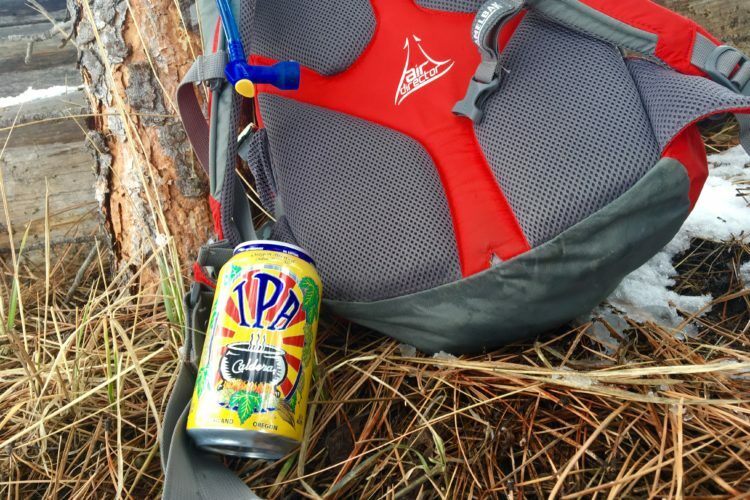 If you’re on this site, you’ve surely felt the camaraderie that bubbles, sparkles, and shines when you’ve shared a day on the trail, immersed in nature with like-minded humans. 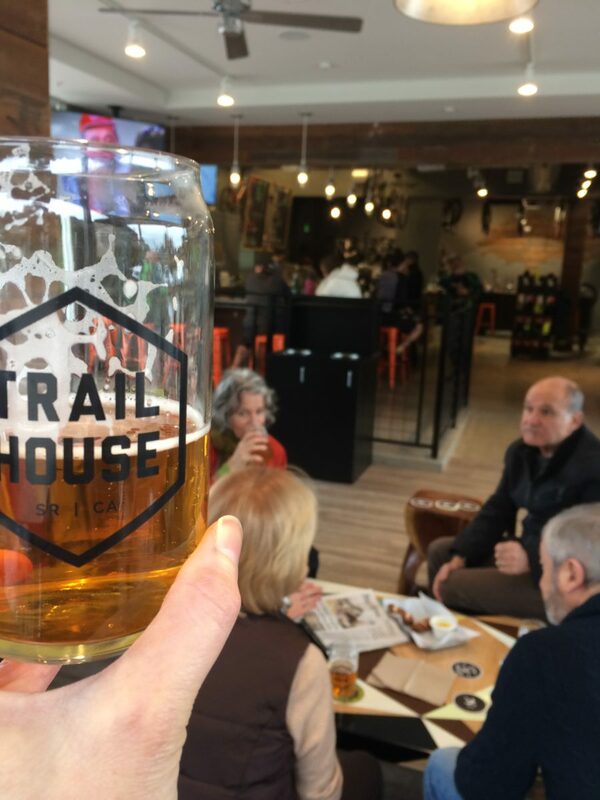 My colleague thought this place—Trail House in Santa Rosa—sounded like a great example of placemaking in the making. Good employee that I am, I headed up (on a Saturday, to be clear) to ride the excellent trails at Annadel State Park and check out the new phenom. It was precisely as described, as I’d hoped, and put me in the mind of other such biker bars I’ve had the pleasure the knowing over the years: Zeitgeist in San Francisco, Gesthault Haus in Fairfax, and The Hub in Brevard, North Carolina. 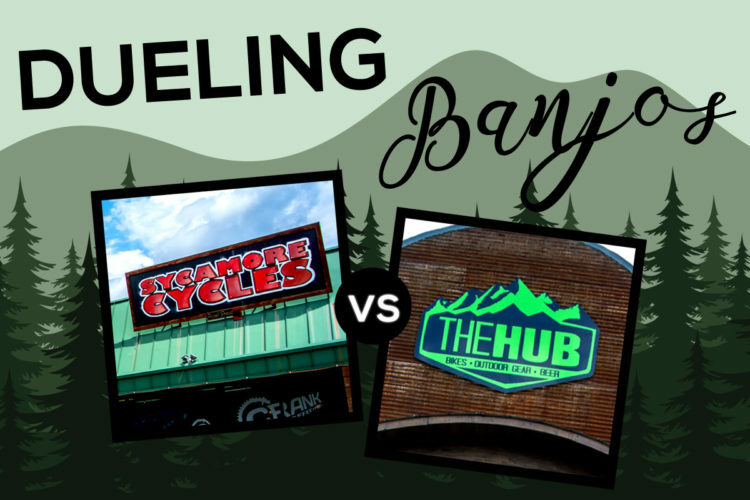 The Hub is a retail/bar/repair/demo establishment with top bike brands, food trucks, sunshine, cyclo-smack talk, and good cheer, all about 39 feet from some swoon-worthy singletrack in Pisgah National Forest. It’s one of those places that makes you smack your forehead with a hearty “Duh!” and wonder why no one has done this yet. 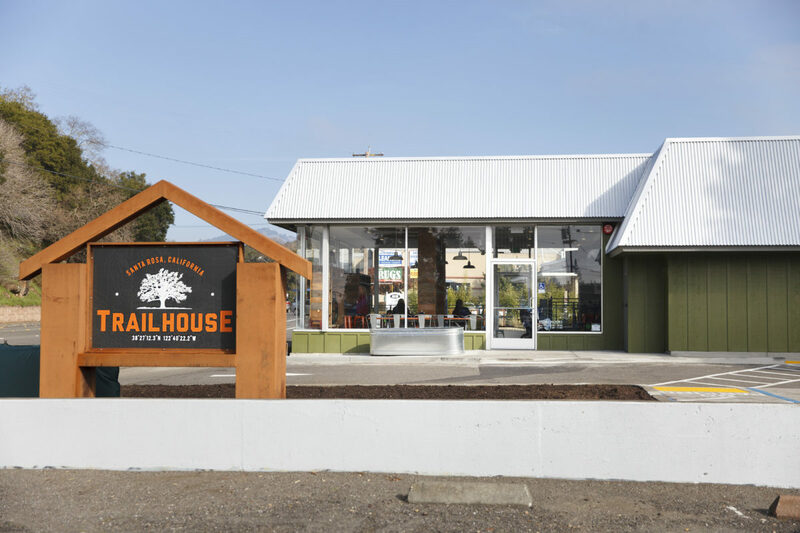 The Trail House occupies the space of Santa Rosa’s first gas station. Photo by Cathy Stancil Photography. Trail House inhabits a former Ritchfield gas station on Santa Rosa’s Montgomery Drive, a couple thousand feet from one of the many trailheads at the 5,500-acre Annadel State Park. Owners Glenn Fant and Shane Bresnyan opened the establishment in the dead of winter, December, 2016. While this timing was sub-optimal and certainly wasn’t the plan—for who would open a bike/beer place just before Christmas in the midst of an abrupt cessation of years-long drought?—city permits are fussy and won’t be rushed. “We were kind of freaking out about opening so late, but we had a line at the bar our first night. There aren’t that many places you can get Russian River beers on tap, and they have been an amazing partner for us—they really wanted to support what we’re doing here,” said Bresnyan. The bro would appear to be strong in Bresnyan, tattooed and sporting the regulation trucker hat. And it may be, but his demeanor chatting with Scot Nicol—founder of Ibis Bikes, who happened to be hanging out upon my arrival—was no different than when chatting with bikers sporting Keds and donning helmet mirrors. Earnest enthusiasm for the endeavor combined with his fundamental friendliness nullify any hint of hip-snobbery. Shane Bresnyan, co-owner of Trail House in Santa Rosa, CA. For the uninitiated, Russian River Brewing is the home of Pliny the Elder, and Pliny the Younger, two India Pale Ale beers that were arguably the first of the cult beer revolution. Many years after their introduction, when one might have expected the fad to fizzle, lines still form outside the brewery/pub when The Younger is sporadically released. On-site purchases are limited, and finding their simple green, red, and white label in the liquor store is to spot a unicorn. Finding Pliny of Any Age on tap anywhere but the mother ship is exceedingly rare. And this harkens back to “community.” Bresnyan and Fant are co-owners of The Bike Peddler shop in Santa Rosa, as well as NorCal Bike Sport. The Bike Peddler is an institution in Sonoma County. This good standing surely helped Russian River’s desire to offer their product here. On my first visit, still mid-winter, the place was pleasantly busy with a mixed crowd of roadies, mountain bikers young and old, trail runners, and hikers. When a Harley couple in full leathers entered, I briefly wondered if they’d misunderstood the “biker bar” tag, and chuckled at the Saturday Night Live skit developing in my head. Several warm greetings flowed their way, proving this was no comic mistake—it’s just that kind of place. Bresnyan provided a similar story of his own. “That first night I was pulling taps, I look up and there’s this really old couple in line, holding hands,” said Bresnyan. “Real sweet, but I’m thinking oh jeez, they’re lost. They get to the front and ask if I’m the owner. The old man says, ‘well I want to thank you for opening this place so we can get a decent damn beer before we go to the movies next door,’ and they proceeded to order two Pliny the Elders.” Having been in the bike shop biz for many years, these two have a clear understanding of the challenges associated with a brick and mortar operation. More importantly, if he gets to think about that transaction over a pint of Pliny, he’s sure to become a repeat customer. 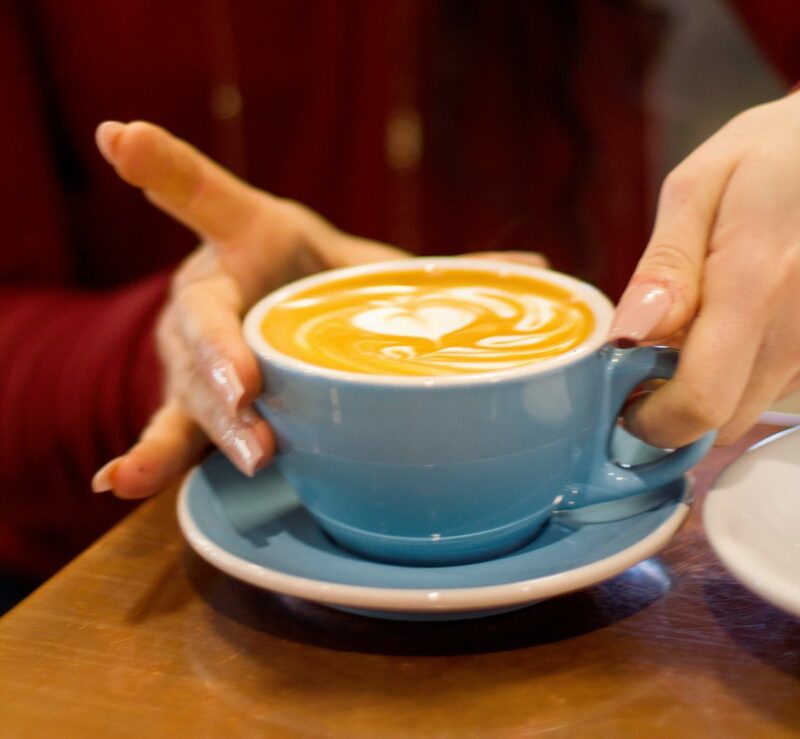 Oh, and there’s really good coffee too. Photo by Cathy Stancil Photography. 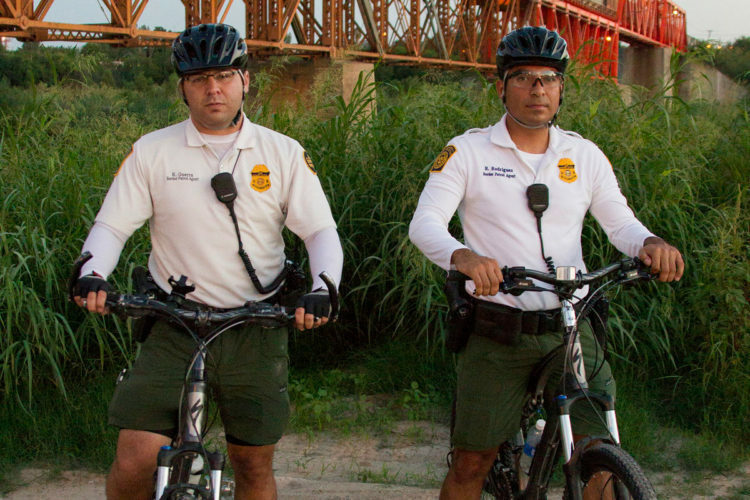 Not surprisingly, these two know what bikers want. They rent high-end road and mountain bikes at competitive prices. Rentals are for 24 hours, and they offer early pick-up and late drop-off. In the spring, they will offer guided rides at Annadel, maybe elsewhere. As a result of a requirement for securing their liquor license, they had to notify all neighbors within a 500-foot radius, which included hitting the pavement to collect individual addresses from an apartment complex. This in turn lead to the (brilliant) realization that cyclists in apartments don’t have good bike storage options. 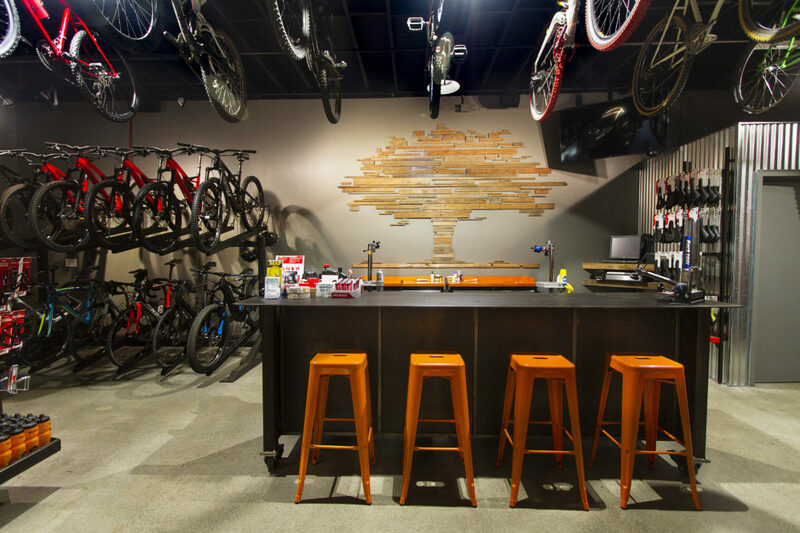 Trail House is working on a membership program with various amenities—secure bike storage, post-ride detailing, rental discounts, shower-and-a-beer. The small space at Trail House is well-designed. 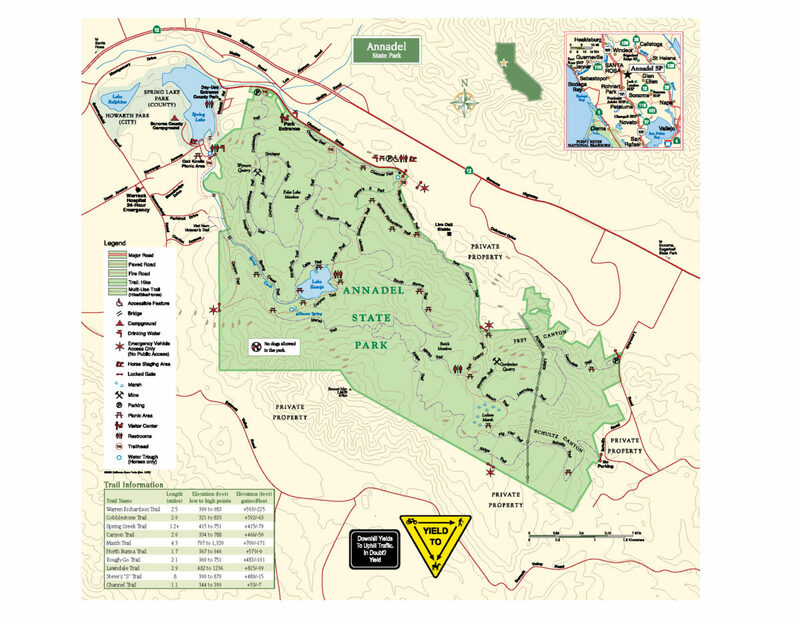 A large wall map of Annadel State Park graces the wall near the Specialized helmets, jerseys, socks, and gloves on offer. Posters for Levi’s Gran Fondo and various Bike Monkey races hang throughout and are collector-worthy works of art. “We want to be the place for things you can’t get on the internet,” said Bresnyan. 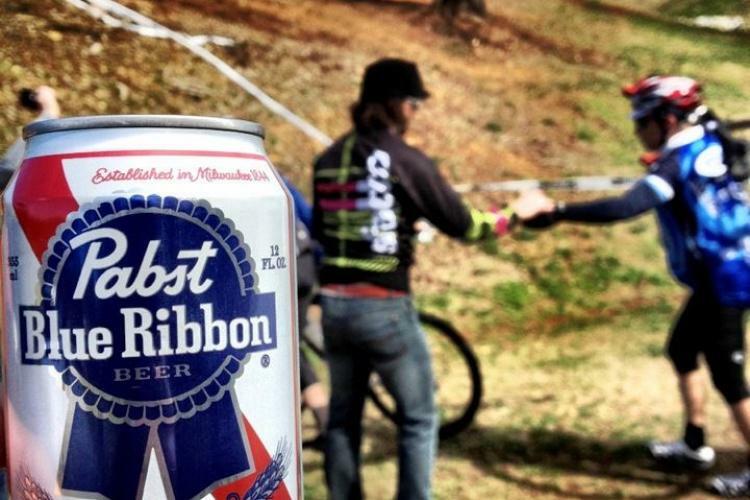 One thing you definitely can’t get on the internet is a post ride beer, and that’s really what started this whole thing. 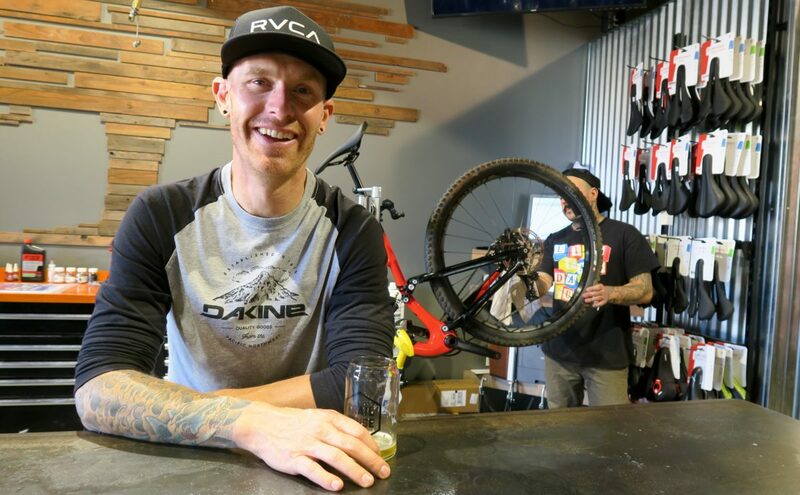 Bresnyan and Fant would duke it out on the trails at Annadel (both are former pro mountain bikers, Fant a former Tour de France wrench for Leipheimer, Armstrong…) and then sit in a liquor store parking lot because there was no other place to go. These two are capturing a moment and appear to have a tiger by the tail. 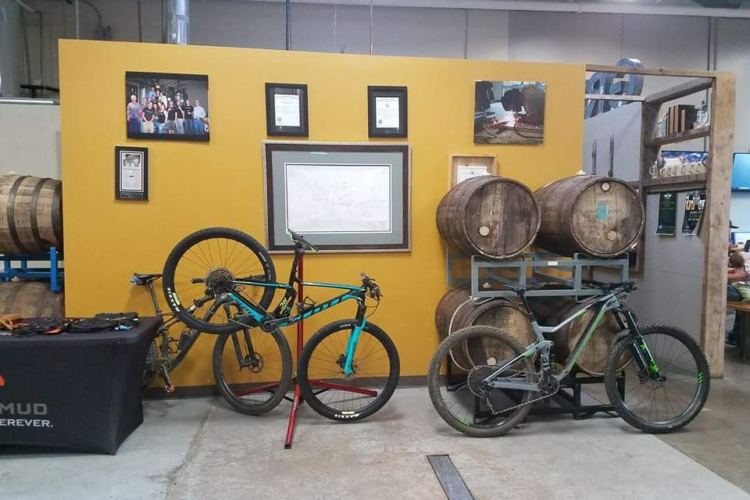 If placemaking “capitalizes on a local community’s assets, inspiration, and potential, with the intention of creating public spaces that promote people’s health, happiness, and well-being,” then two bike shop dudes who like beer are placemakers of the highest order.